For most of the summer I have had limited access to internet, on assignment, and sadly, not able to post at all. However, I have some exciting news to share with you. 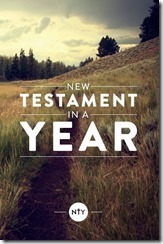 My wife and I have published a new resource that might be helpful for YL leaders; it is the New Testament in a Year. 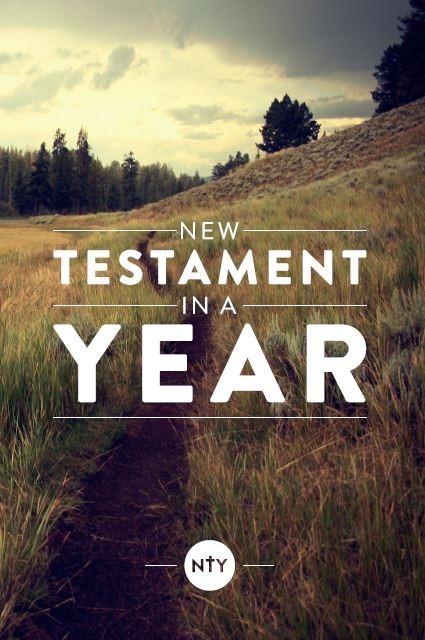 Briefly, the New Testament in a Year organizes the entire New Testament into 365 daily readings and includes an introductory thought for each day as well as questions to process each daily New Testament reading. The focus is on getting the most out of your daily reading of the biblical text yourself with minimal distraction. The longer story is that for nearly a decade Erin and I have been leading a weekly Bible study for college freshman (FYL) in which we read through the New Testament in a year. From the beginning, we knew the format we were looking for, which was a daily New Testament reading printed for each day of the year (Ex: Matthew 1 on January 1). The only published version of this format was for “Busy Moms” and “Busy Dads”… not exactly ideal for college freshman. The looks they got in their dorms from friends were pretty hilarious. Most put stickers on the covers. Also, the brief comments and questions were largely irrelevant for people who were not moms and dads. Eventually, Erin and I decided to put together one on our own. For the last year, we used the version which is now available to everyone. We tested the comments, questions, and introductions to each book of the Bible on our college freshman friends. We made some adjustments along the way and now we want to make it available to others. This could be a great resource for a college Bible study, FYL, campaigners, YL leadership (for one year), individual discipleship, or just simply for yourself. You can find the full details and a sample HERE. You can find some tips about how to lead a group through it HERE. I’m certain it isn’t perfect, but we hope it is helpful! Thanks Sean! You saw a need and you filled it! I have been going through the Busy Mom’s NT. I can’t wait to get these. I have one question. When you start with a group of new FYL in the fall do you start reading on the date that you start which would put you in the middle of the New Testament, or do you start in January? We do start on the date of whenever we begin, for example we usually start in mid-August which is in 2 Cor. It is a bit odd but we just roll with it. I think there is a lot of benefit for a direct corrolation with the actual date, but I could see a lot of benefit from starting in Matt 1 / Jan 1 too! At the weekly meeting, do you go through every day of the week of the past reading? For example is the current week is John 1-7, are you asking questions about every chapter? I love this! Gonna order one right now. Next post How-To: 6 Steps to make Snapchat Geofilters for your Next YL Event!